David Newton – ESPN He was 20 years old and living at home. He was making minimum wage, putting together lawn tools at a Harrisburg, Pennsylvania, warehouse. 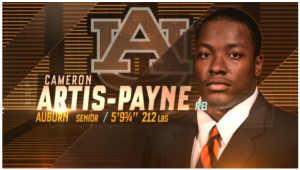 He was 20 pounds heavier than when locals worshiped him on Friday nights two years earlier. Jason Bristol – CBS 21 News EXSP is proud to call Rob Bleiler one of our own! Watch this great interview by Jason Bristol of CBS 21 News. 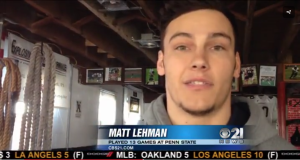 Jason Bristol – CBS 21 News Former Penn State tight end Matt Lehman is returning to Penn State on Thursday to participate at Penn State’s Pro Day for the program’s pro prospects. 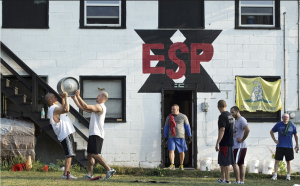 Article in Penn Live focusing on the nuts & bolts of EXSP, the trainers and the athletes who choose to show up to “Unleash Their Performance”. Coach Brix will be writing articles to be featured on Youth Football Online. Be sure to check them out weekly. CBS 21’s Jason Bristol did a feature on EXSP and Marshall Sacks. Training with the Pros and showing them how it’s done! This feature went national and we are so proud. 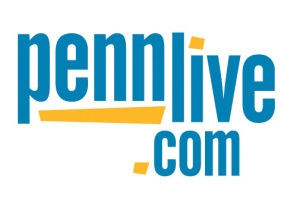 We recently joined forces on the Dauphin County Discount Program for Emergency Service Workers and Penn Live did an article featuring EXSP.